Whoever told you the little details don’t matter, lied. They do. Each and every last detail matters to the team at Creative Purposes. If you envision a stylish event where every piece of your puzzle is flawlessly placed into a vision of mouth dropping WOW, then you Creative Purposes can help! 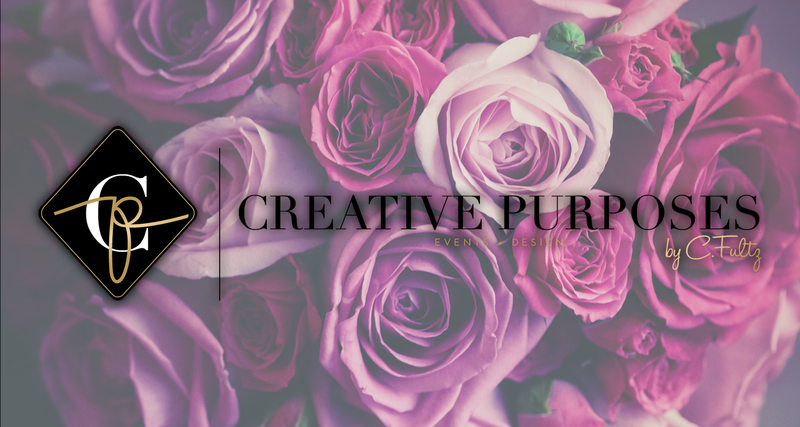 Creative Purposes by C.Fultz is proud to design and coordinate signature weddings and stylish events that are sure to create an atmosphere in which your guests won’t soon forget. Take a look at our packages and contact us for your complimentary 45-minute consultation.